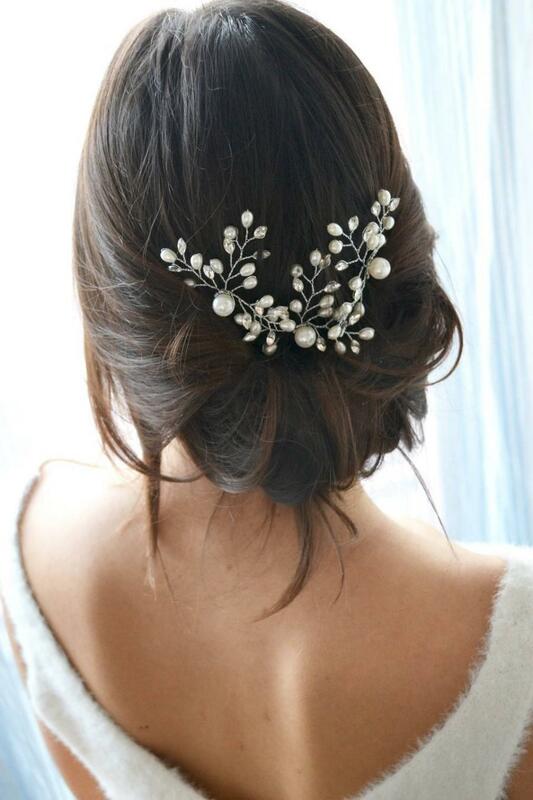 White bridal headband. Hair comb, pearls and crystals pin stick. Delicate Bridal, Bohemian, romantic hair accessory.